It is a glorious time of the year for an adventure! The birds are chirping and the bluebonnets are blooming. The skies are the shade of blue that Texas is famous for. 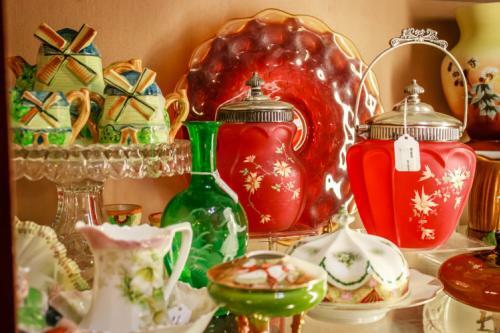 It is an ideal time to hit the open road for Granbury – a premier antique shopping destination. With so many shops within a few miles of each other, a trip to Granbury will give you plenty of options for spectacular finds. You may choose to hunt for the perfect sterling silver service piece for your next holiday meal, or perhaps a milk glass vase that will look delicate on your coffee table filled with spring flowers. It is also a fine way to select one-of-a-kind gifts. Imagine a bride’s delight to open a set of crystal goblets with etching that was perfected decades ago. Of course, there are plenty of stores with new items, too–the inventory in Granbury shops is constantly refreshed and always surprising. We want to give you some tips on planning a trip to Granbury that will help you get the most out of your shopping experience. First, it is important to come up with a plan. What are you shopping for? 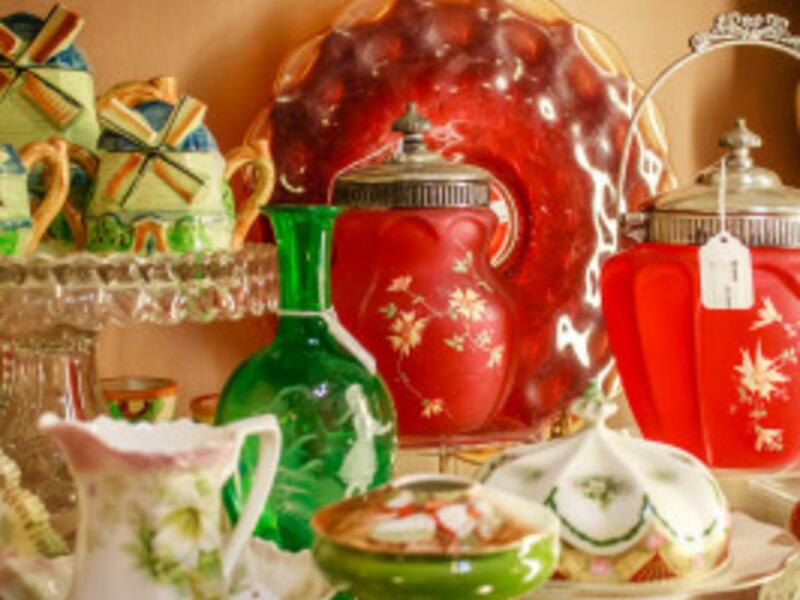 Do you want knickknacks or furniture for your home? Are you looking for something specific, or keeping an open mind for whatever catches your fancy? If you do not have specifics in mind, it is good to spend some time thinking about what you would like, and what you have space for. This may help you to make a purchasing decision when you find things that make your heart skip a beat. Grab a friend or two! It is always nice to have a second set of eyes and hands! Before your trip, you may want to do some research into all of the different shops that Granbury has to offer. 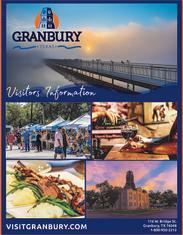 A great place to start is the Visit Granbury website, and you can check out the section for shopping. If you want to check out a large antique mall, Witherspoon’s Antique Mall is outstanding in its selection. 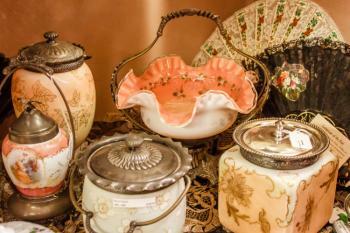 Its dealers showcase everything from sassy uniques to classic antiques. If you are looking for something that is completely unique to Texas, head over to the Wagon Yard. This shop has furniture, wall hangings, lighting and fixtures, and collectibles. Their selection of Texas memorabilia is impressive. If you are into music, they also offer a great collection of vinyl, record players, jukeboxes and nostalgia items, including signs and posters. If you covet vintage items, Chicks from the Stix is for you. The store has special gift items, and we enjoy their selection of vintage Pyrex and Corningware. Do you want something fresh for your home? Accents II is the place! They specialize in accent pieces including lamps, rugs, artwork, pillows, and kitchenware that are original, and a bit funky. Historic Granbury Square was the first town square in Texas to be listed on the National Register of Historic Places. It Is known for its entertainment, dining, and great shopping! Are you interested in art? Check out Your Private Collection. They have a huge selection of artwork in a variety of mediums. Are you a sports fan or have one in the family? Do not come home empty handed! Visit Doug’s Sports House and get them something from their favorite team. St. Helen’s is another great place to buy a memento or gift. 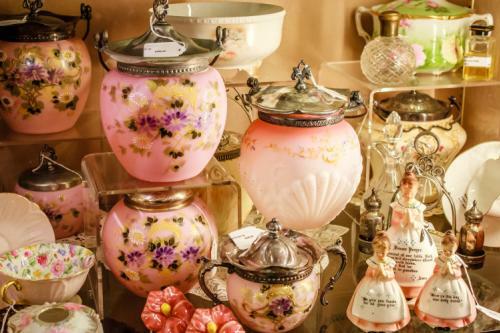 They have a huge rotating stock of great antiques, gifts and candles. Do you ever get nostalgic for the smell of your grandmother’s attic? Brazos Moon Antiques and Uniques is the place for you! It is a great place to find the things you couldn’t imagine you needed before you saw it! We like browsing their vintage clothing. It is fun to pair a fun 70’s top with a more modern pair of jeans. All of that shopping will help you work up a great appetite! Fortunately, you won’t have to stop shopping long to dine. Granbury has a great variety of dining options all around town. Home cooking, BBQ, German, and Tex-Mex are just a few of your options. Take a look at the Visit Granbury dining guide to help you decide! After a fun day of shopping and dining, you may want to check out a show! The crown jewel of the Granbury art scene is the Granbury Opera House. The fabulous décor and incredible talent make for a night you will not soon forget. With so much to do, you and your friends will have to stay a night or two! This is a great resource for planning your stay: Granbury Places to Stay. Granbury offers hotels, charming bed and breakfasts, RV/camping options, and more. Granbury has long been known for its boating, entertainment, dining, and outdoor activities. There is fun for everyone here. Come to shop, dine, play, and stay before doing it all over again! For more on Granbury shopping, visit our Downtown District Shopping Guide and more on all our great city has to offer.